The Pioneer Award was introduced by USAPA to recognize exceptional performance over a period of time on the part of our ambassadors. What a better time and place to introduce our 2012 Atlantic South Region recipient than our very first Regional Pickleball event. We are recognizing the outstanding and tireless dedication, commitment and personal leadership of two individuals who support and promote our great game of pickleball to people of all ages, not only in their own area but across the state and beyond. Both of these ladies were former tennis players, coaching for about 30 years. Cindy was instrumental in developing a "Tennis for Tots" program for children 4-10 in the Coral Springs, FL community. Nancy played competitive tennis in high school and college and played in tournaments during her post college years. She began, at the age of 17, working with the Toledo Recreation Department to introduce tennis to the community. With the help of Pepsi Cola sponsorship, she directed many start-up tennis programs and tennis tournaments in the Toledo area. Nancy also taught clinics and private tennis lessons throughout her career. We are so glad they joined our pickleball family! 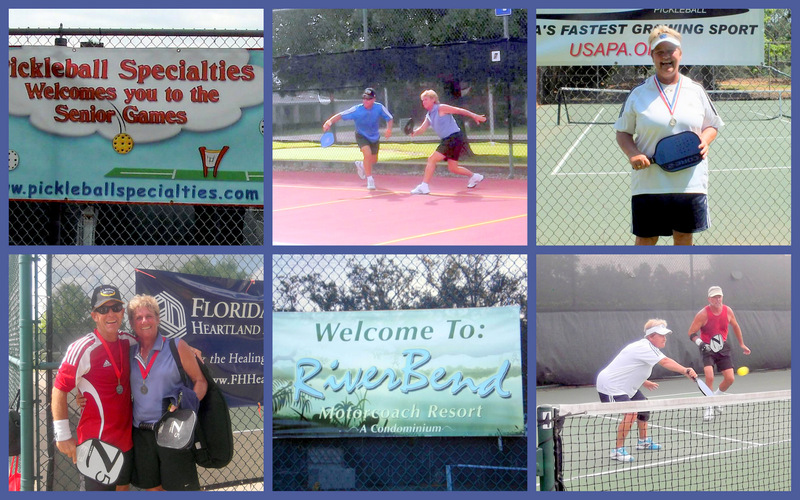 They were introduced to pickleball in 2005, became USAPA members and ambassadors for N. Ft Myers, FL back in July of 2008. Since that time they have been absolutely unstoppable. They have expanded pickleball significantly in SW Florida with beginner and intermediate clinics at both private communities and public venues. A typical two month schedule for these two might look something like this: a clinic at the Riverside RV Resort in Arcadia, a couple of clinics at Herons Glen in N. Ft. Myers, then to the communities of Paseo and Heritage Palms in Ft. Myers. Then they move south for a clinic at the East Naples Community Park, a power point presentation, video and hands on introduction of pickleball at the Florida Recreation and Parks Association (FRPA) meeting and finally a visit with the City of Ft. Myers officials, which results in the opening of the downtown Skatorium to pickleball. Bill Years, a winter resident at Herons Glen has this to say: “they have run three beginner sessions already and are in the process of scheduling an intermediate and two more beginner sessions. They are both fabulous and most helpful. With the help of Nancy and Cindy we have graduated to running three courts of round robins on Tuesdays and then having three "clinic" type courts as well, using all six of our tennis courts. New people continue to come each week”. Bill is now ambassador at large for USAPA. Pickleball tournaments were slim to none three years ago in Florida, and even the pickleball turnout at the Florida Senior Games was meager. Today it is not unusual to see well over 100 players at the Lee County, Collier County and Charlotte County games where they now serve as tournament organizers and directors. When, because of budget constraints, Collier County decided to cancel their Senior Games, these two changed the cancelled event into a USAPA Sanctioned Tier four tournament open to players 16 and older. 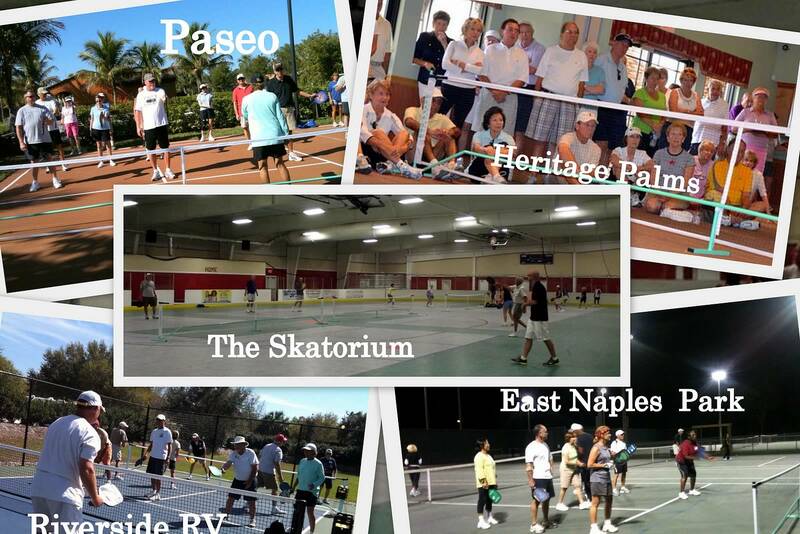 So impressed with the exposure, the East Naples Park has painted pickleball lines on allmost all of their tennis courts giving us 16 courts for our very first Regional Tournament. These two ladies also introduced USAPA Sanctioned Skill Level tournaments to our Region, the first one held at the Riverbend RV Resort in Labelle, Fl in December of 2011. The second one at that location just completed in December of 2012 and the third is already being planned. In February they were the tournament directors for the Skill Level event in Sebring, FL and two more will take place this year, one in Naples and one at the Skatorium in Ft. Myers. Word of their organizational abilities has reached beyond Florida. They were tournament directors for the Battle of Franklin in Franklin, TN and most recently have been contacted to organize a State Invitational Tournament in Aiken, SC. They also introduced pickleball to Corporate America. In December of 2011. They introduced pickleball to the IT Department of Diplomat Specialty Pharmacy as part of the Employee Team Building Program. The following is from Becky Foerster the Wellness Coordinator at Diplomat Specialty Pharmacy. “Your two day clinic was so well received. You brought your passion for life, health, fitness, and team spirit. Everyone left knowing one another a bit more than when they started. The round robin tournament was the perfect way for co-workers to interact and compete. Some employees who would have otherwise kept to themselves, got on the court, and showed their competitive edge. Others who lead, found themselves on the same playing field learning something new. Either way, individuals found ways to work together. Diplomat Specialty Pharmacy is embracing a culture of wellness and life balance. Pickleball brings a little balance to the workday. Thank you!" Nancy Meyer and Cindy Eddleman, were both presented with a Pioneer Award Placque, and will receive a 3-year free USAPA Membership renewal, with our thanks and appreciation, as the recipients of the 2012 Atlantic South Region Pioneer Award.